Hyde Hall isn’t the first of the Clarke family residences built in upstate New York. In Fort Plain, for instance, once stood Clarke Hall, the summer residence of George Clarke, acting royal governor of New York, and his wife, the former Anne Hyde, daughter of a royal governor of North Carolina. 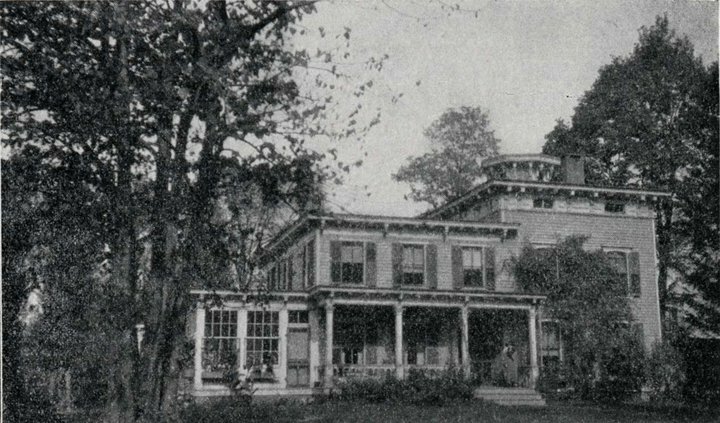 They were the paternal great grandparents of the builder of Hyde Hall and had Clarke Hall built around 1738 overlooking Otsquago Creek, close to the Mohawk River. A history of Fort Plain describes the house as being of “considerable pretension,” adding it was “two stories, with a hall passing through the center and large square rooms on either side. The second floor was reached by a broad stairway, with white oak bannisters and easy steps of the same material. Clarke’s wife died in 1740, and he apparently sold Clarke Hall shortly before returning to England in 1745. Eventually the house was torn down by a later owner, though its foundations, cellar, and cellar fireplace are now part of the Fayant house, shown here.